iWork for iPhone and iPad is Apple's mobile office and productivity suite, comprised of Pages for word processing, Numbers for spreadsheets, and Keynote for presentations. The iWork suit of apps is similar in features to what Microsoft offers with their Office for iPad suite of apps. However, if your'e tied into the iCloud ecosystem and also own a Mac, iWork may be a better option. With Pages you can elegantly compose anything and everything from a newsletter to a book, a memo to flyer, essay to resume, poster to card. Pick from many hand designed templates or download one from several online sources and import it. Add clip art, images, and more to personalize your documents even further. Numbers is an all-in-one spreadsheet solution that lets you quickly plan anything and everything from a checklist to budget, savings plan to schedule, team roster to party plan, invoice to cost projection, grade book to lesson chart. If you regularly use Excel files, not to worry, Numbers not only opens them but lets you save any file you create in a native Excel format. This way you can rest assured any Microsoft Office users will have no trouble opening and viewing your Numbers files. Need to create an eye-catching presentation? That's where Keynote comes in. Easily make presentations for work or for school, for conferences or for pitches, for conceptual design or story boarding of any kind. Just like Numbers, Keynote plays nice with Microsoft Office as well and lets you save files in PowerPoint format if and when you need to. All of the iWork apps support multiple export formats including PDF. The best part? Create a document on your iPhone or Mac and pick up where you left off on your iPad with iCloud sync. Individual iWork apps are $4.99 on the iOS App Store but are made free to any new iPhone, iPod touch, or iPad owner. Curious about the iWork suite of apps? Learn everything you need to know about them here! If you like using your fingerprint to lock and unlock private information with Touch ID, here are the best apps to do that with. 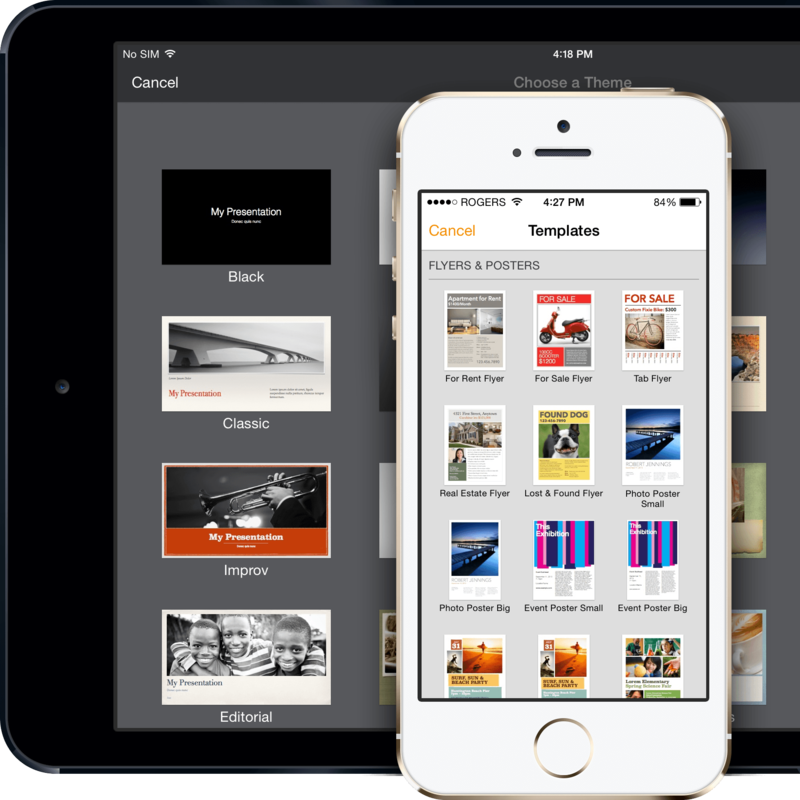 You can use Apple’s Pages app to create and export EPUB format ebooks. Here’s how. Apple just rolled out an update for Pages, Keynote, and Numbers, the company's iOS productivity apps. Along with performance and stability improvements, the apps now include new iOS 11 features. Apple has added more than 500 shapes for use in its iWork suite of productivity apps, along with a number of other improvements. Apple has released a small update for its iWork suite of productivity apps on iPhone, iPad, and Mac. Apple has launched major updates for its iWork suite of productivity apps on Mac, iPhone, and iPad. These updates add compatibility with Apple's latest operating systems and devices. Apple has released an update for the iOS versions of Keynote, Numbers and Pages. The new releases address a accessibility bug that prevented proper navigation and editing with VoiceOver. Apple has released a set of maintenance updates for its iWork applications on both iOS and OS X today. Overall, there's not much to report other than the usual stability improvements and bug fixes. The updates are now available for Pages, Numbers, and Keynote for both iOS and OS X.